To view 10 more pictures, interactive maps and the full, detailed description of the Hanbury Woods community, please Login. 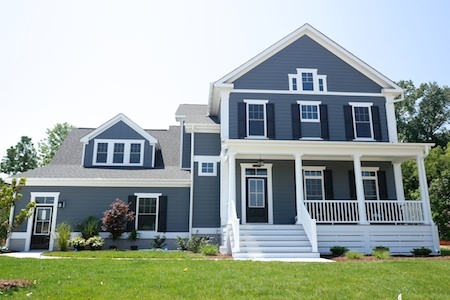 Hanbury Woods is an elite real estate development offering new construction homes for discerning buyers. If a custom single-family home in a desirable part of Hampton Roads is what you’ve been looking for then this community certainly makes the cut. Homeowners can take advantage of many opportunities for both work and play from this central location in the Great Bridge section of Chesapeake, VA. Those who work for the city or in the legal field will like the short commute to the Chesapeake Municipal Center. Service members can access nearby military bases like the Coast Guard Finance Center, Norfolk Naval Shipyard and Naval Medical Center Portsmouth. New construction is of the highest quality here. Each of the homes in Hanbury Woods may feature custom built-ins, wainscoting, granite countertops, tile backsplash, cast iron undermount sinks, ceramic tile flooring, 10-foot ceilings, hardwood flooring, attic, finished room over garage, kitchen pantry, attached two-car garage, eat-in kitchen, deluxe master suite, ceiling fans, kitchen bar, pendant lighting, recessed lighting, stainless steel appliances, 42-inch kitchen cabinetry, mudroom, security system, screened-in porch and upgraded fixtures. Living in this sought-after part of southeast Virginia affords many ways to make your quality of life even better. Kids can attend the highly regarded Great Bridge schools. Golfers can easily get to Chesapeake Golf Course and Cahoon Plantation Golf Course. The Chesapeake Public Library is also nearby. Bells Mill Park, Great Bridge Lock Park, Cheshire Forest Park, Centerville Park and Stonegate Park are great places for families to enjoy time together. Shops, recreation centers and restaurants are easy to get to as well. Real estate in Hampton Roads does not always come with so many benefits like the new construction homes in Hanbury Woods do; come see the difference! Send me more information about the Hanbury Woods new home community. Our agents gladly offer FREE property tours of Hanbury Woods, Chesapeake and homebuyer consultations to all serious buyers.